Ask an Equipment Expert: With so many options, how do I choose the right irons for my swing? Each month, we tap experts from the equipment industry to answer your most commonly asked questions. In this installment, Marty Jertson, director of product development at Ping, addresses the keys to keep in mind when trying to find a new set of irons. How do I choose the right iron model for my swing? With so many options, from players distance to max game-improvement, it's tough to know where to begin. — J. Johnston, Brooklyn, N.Y.
Ping doesn't take a firm stance on handicap, because there are other considerations when choosing an iron. With most clubs, forgiveness increases as you go up in clubhead size, with marginal losses in workability. That's the basic tradeoff, although distance also enters into the discussion. What I suggest is to hit a selection of models on a launch monitor and note how your distance-gapping works with different categories of irons, then check how your accuracy and consistency numbers stack up. 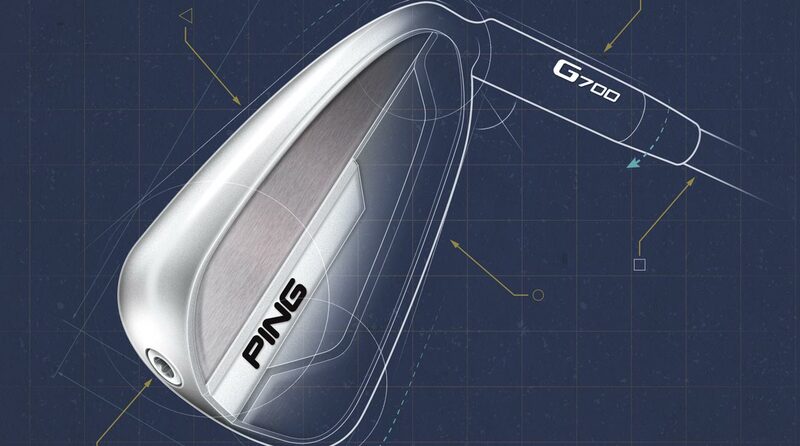 An artistic rendering of a Ping G700 iron.